Self-publishing is often the best, and sometimes the only way for writers to get their works into print. Self-publishing is challenging, but the concept that all self-published books are subpar is untrue, and more and more writers are choosing to take publishing matters into their own hands. The old adage that traditional publishing is the only way to make a living as a writer is also untrue. 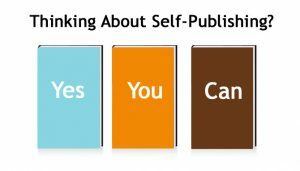 Self-publishing, once considered a low-end publishing option, offers authors publication speed, complete control, full rights, and no excess inventory. Self-publishing is the fastest growing segment of the publishing industry, but be prepared to spend a lot of time and effort getting the word out about your book. As an example, Fifty Shades of Grey was originally self-published, and E.L. James is now considered one the wealthiest authors in the world. Richard Bolles: What Color Is Your Parachute? This is just a small sampling of self-published writers whose works have sold millions of copies. And some of them are still self-publishing and still making a ton of money with their self-published books. Despite what the traditional publishing conglomerates would like you to believe, readers like what they like, and read what moves them. They could care less if a book is self-published or not. 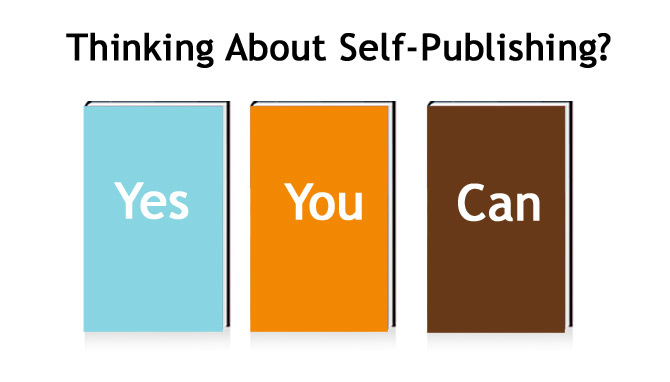 I receive hundreds of emails asking me the same self-publishing questions over and over. The bottom line is that they are looking for the top tips or the top rules. But there really are no set rules, and no wrong or right way to self-publish. It’s all up to preference and how much money you want to spend. And I’m not claiming to know everything about self-publishing. This article is but a small sampling of what I have learned along the self-publishing way. If anyone has anything to add to this list, please comment at the end of this article. Once your book has been written and before you sign up with a self-publisher go to https://www.copyright.gov/ and copyright your work. And make sure to include a copyright page in your book. Every good self-publishing company will offer you a free editing assessment, so before making a final decision, ask to see what editing changes they would make to a couple of your chapters. First things first—you will want a non-exclusive contract. Paperback books are less expensive to produce than a hard cover version, and black and white is less than color. One on one customer service is crucial. And you can negotiate editing services as part of your package, but make sure their editors are competent. Make sure all distribution of paperback/hard cover and eBooks are in your name, and your name only. Make sure you purchase a package that offers worldwide distribution for paperback/hardcover and eBooks. Approximately 60% of all eBooks are sold through Amazon and distributed through Kindle which is marketed by Amazon. If you want wider eBook distribution, like Nook, you may have to pay extra. Try to get your eBook on as many eReading devices as possible. In addition to Amazon, some distribution examples are Google Play, iTunes, Barnes & Noble (Nook), Kobo Books, and Smashwords. An average cost for a quality self-publishing package can range anywhere from $1,000 to $1,600. There are of course more expensive packages, but unless you are using a ton of four-color inside pages, you shouldn’t need to spend more than that. Book distributors traditionally get 55% of the retail price of the book, out of which they pay 40% to the bookseller. You will want to back into the retail price of your book based on how much it will cost to print. So for example, if it costs $3 to print your book, you may want to put a price point on it of $12. Then, 55% of the $12 price point or $6.60 would go to the distributor. So, $12 (retail price) less $6.60 (distributor) less $3 (printing) leaves $2.40 in royalties. Pay close attention to royalties in self-publishing packages. In my case, I use Breezeway Books and receive ALL royalties. Some self-publishing packages require a royalty percent, but I wouldn’t personally sign up with a company that does. And make sure your package includes: ISBN Assignment, Library of Congress Control Number, and EAN/Barcode. Make sure the font size in your book is large enough. I would recommend that you choose your type size and font yourself, so you know and like what you are getting. And you should get at least ten paperback/hard cover copies of your finished product. Your book design is also a key component of your self-publishing package. You will need a paperback/hard cover format, eBook format and custom interior formatting, and a custom cover design. You should be able to see two design versions of your cover, including the back cover and then pick the one you like best. Make sure you can print your book at a wholesale publisher cost and that you receive at least one physical proof copy. I like to see digital proofs at each stage, but that’s me. If you decide to go the self-publishing route be prepared to do a ton of marketing because obvi no one else is going to do it for you. See my blog post re: marketing tips.